PETA's deviant practice of stealing and killing family pets ruled by VA prosecutor as not theft; learn why, what he said, and how to protect your dog from a similar fate! Other news groups focused on the $6 million lawsuit filed by the Zarate family but readers expect TheDogPress.com to look deeper into internet stories. Taking a tiny Chihuahua, an obviously cared-for family pet, just so it can be killed is a deviant PETA practice that should be challenged. First, we called Accomack Co. and Prosecutor Gary Agar graciously took our call. He explained why PETA was not charged with theft (see link below) and graciously agreed to provide our readers with legal information which may apply in other states. The well-informed know most PETA pet rescues are only to gain press coverage. PETA's other outrageous stunts and advertising is designed to raise public awareness and evoke controversy. 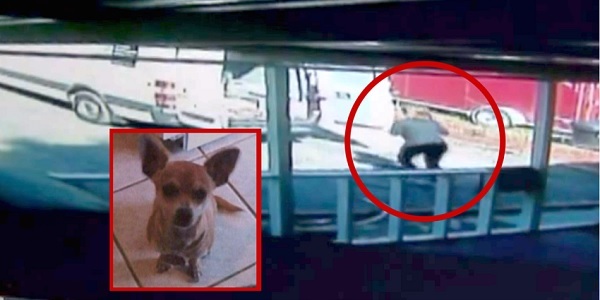 The on-camera theft of a tiny Chihuahua which was promptly murdered accomplished that even though it was devastating to the Zarate (Cerate) family. It also caused our staff to take a hard look at PETA arrest records, their 96% kill rate, and reported revenues averaging $30 million dollars. Why kill any adoptable purebred dog? As has been reported, shelters actually buy such dogs because they bring in higher adoption fees. So a reasonable person would ask why PETA perverts kill dogs before giving them any chance of being adopted? Social media and website headlines such as "Maya's Family Sues PeTA for $9,000,000" miss the story. We owe our readers more and there is much more to this case. There were stray dogs in the Parksley, VA trailer park and complaints had been filed. How those complaints resulted in PETA going to the park is unclear but security camera video shows the PETA employee taking a tiny Chihuahua from Wilber Zarate's porch. Obviously the little dog was owned and cared for, not a stray or feral dog. Here's the story other news sites failed to report. The law is the law and intent is everything. The Prosecutor was patient and professional and graciously provided a statement, see below. PETA did not "steal" Maya with criminal intent. The PETA person did not intend to sell her or in any way profit from taking the dog and murdering a helpless pet is apparently not against Virginia law. The ultimate irony here is that PETA was fined $500 for having killed little Maya before the elapsed time required by law. Something stinks in Norfolk! Virginia Dept. Of Agriculture records reveal that People For The Ethical Treatment Of Animals killed almost 90 percent of dogs and cats placed in shelter at its Norfolk headquarters in 2012. 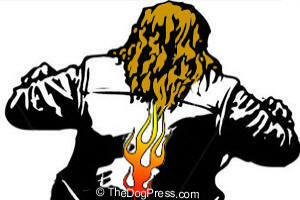 The most recent records available to TheDogPress show 1647 dogs and cats killed by PETA in one year, in one city. PETA adopted out only 19 animals. Those statistics scream for attention! Were all of those animals sick or vicious or were many just family pets? A logical person would think that the Norfolk PETA group is afflicted by a horrible obsession to rid Virginia of all dogs and cats. But it gets worse. Nothing seems to satisfy the PETA's perverted urge because that group also goes to other states collecting animals in order to kill them. And indeed, there seems to be a pattern here. In 2014 the Huffington Post reported "PETA's Norfolk shelter took in 1,606 cats, of which 1,536 were euthanized. Of the 1,025 dogs taken in, 788 were euthanized." Over three thousand pets killed, an average of more than 8 animals euthanized every day. What drives these PETA people? Ask yourself what a small group of sadists could do with helpless animals? One of our consultants, a psychologist, has a chilling suspicion. 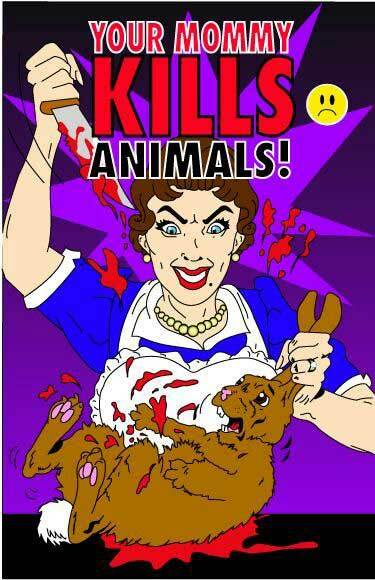 It seems that a perverted PETA can't get enough pets to satisfy its lust for killing. If this sounds like a horror-movie script, we agree. Who will write the ending to this macabre tale? VIDEO Theater and watch the 18 second security camera film that clearly shows PETA making off with the little Chihuahua. Parading with dead pets, they kill the pets you protect! 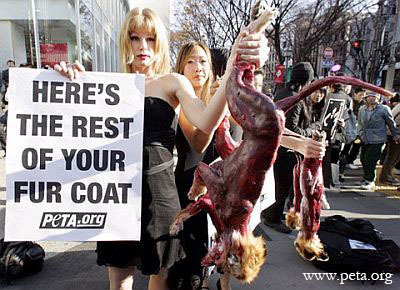 Three Animal Rights Activists missing after "War On Leather" campaign. Killing and throwing 31 pets into dumpster? Court throws out the case!! !